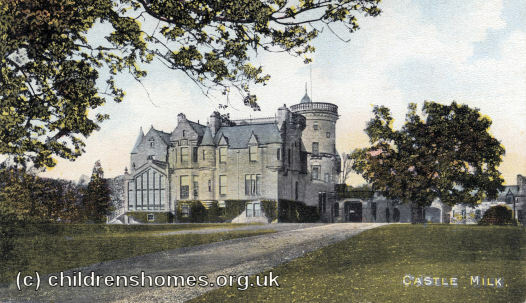 Castle Milk, a Barnardo's Home, was located at Lockerbie, Dumfriesshire. Opened in February 1941, Castle Milk, near Lockerbie, Dumfriesshire, was one of the dozen or so wartime evacuation centres that Barnardo's established in large country houses in Scotland. Castle Milk was used to accommodate boys aged between five and fourteen. The home was closed in March 1948. The property is now a private residence.